Due to the lacking community on this server, I have decided to transfer my character to the FreakZ Legion server, and proceed my guild there. Should anyone happen to have a character on that server already, or consider moving there in time, and with that, wanting to roleplay, feel free to contact me. I'm on the Legion server called Felsong and my character's name is the same as here. Hope to see you there. Be well. The Order of Kalimdor is now recruiting. The guild is only about a week old so I haven't really gotten started with everything yet, but the foundation is set. Many times have I returned to Google to search endlessly for an active RP community on this server, but every time it would seem like the RP scene was kinda dead, even though a few people still had interest in the subject. So I decided to start my own guild. The Order of Kalimdor is a guild loosely based on a previous RP guild I used to be a part of, The Order, that I am sure many have heard of. The Order actually exists on this server as well, but unfortunately it seems like they don't focus much on RP, and they only speak spanish as well, which made me want to start another phalanx of the concept. 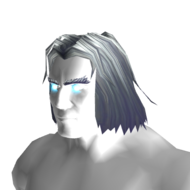 This serves as a continuing or proceeding wing of The Order, but more based around Night Elves, since my area of responsability within The Order had a big focus on the Night Elves' relations with the rest of the allied factions. Much will involve Elven events; druidism, elven lore, and of course, most elven lands. Guild Lore-wise: The guild answers directly to The Council of Darnassus, one could say that the guild acts as a council on its own, making its own decisions, but on the orders from the higher council. 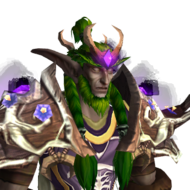 Within the guild there are certain roles; - The Councillors: Taking a place in the seat of Council alongside a few other elves elected by the Head of Council together with The Council of Darnassus. The Councillors make the decisions of coming events. - Guardian: An honorable rank of warriors of old. Warriors that has proven themselves though great deeds, for example someone that has played a major part in a historic event or done any other major service to the Kaldorei. Main assignment is to serve and protect fellow elves, guarding councils in progress, as well as serve as support and guards (manpower) during adventures. - Ambassador: This will be a main element, as the lore progresses, many other factions will fall in danger and will require all the help they can get, Ambassadors are the ones that maintain the elves' foreign relations. This will include long and far journeys to distant lands, negotiating with other factions' ruling leaders, and other minor tasks of politics. - Sentinel: A loyal and important part of the elven military. The Sentinel serve as a footsoldier, providing allround manpower to the rest of the elven society, taking orders from higher up. (One can get promoted from Sentinel rather quickly) As I mentioned, the guild is rather fresh, so it is still a work in progress. I am open for ideas and hope that eventually, we can build this guild together. So if anyone would feel like joining feel free to hit me up in-game. My main character's name is Tiade. If I'm not online at the moment, just send a mail and I'll get back to you as soon as I am able. Hope to see you in-game. Ande'thoras-ethil.